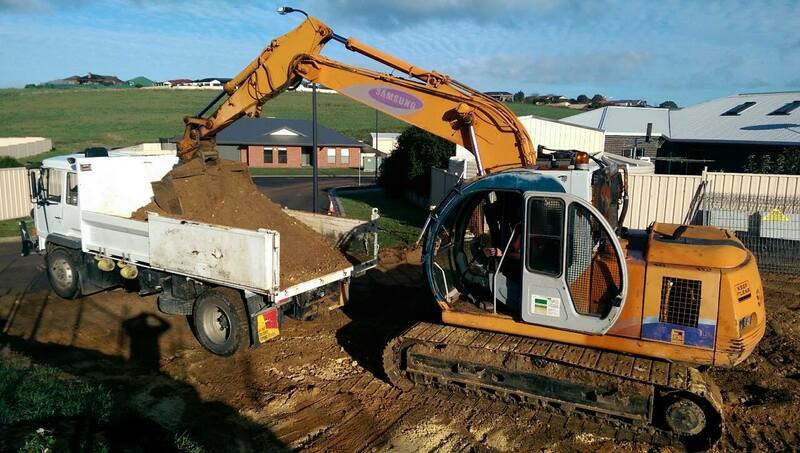 JNL Construction provides a range of excavation and concreting services throughout South East South Australia and South West Victoria. We have many years of experience in the building industry and have the skills to complete all types of jobs. Whether you have a small residential concreting job or a larger, more technical, commercial concreting job, JNL Construction has you covered. Our professional team are not afraid of hard work and complete each and every job to the highest possible standard. We turn up on time, are friendly and considerate, and most importantly, get the job completed within the agreed timeframe. JNl Construction is the family owned and operated concreting business you can trust. Whether you need a concrete driveway, a concrete shed floor or a concrete footpath, we can help. Our prices are some of the most reasonable in Mount Gambier, and we are always happy to provide our customers with a free quote. Contact us today to find out more about our services or ask us a question. 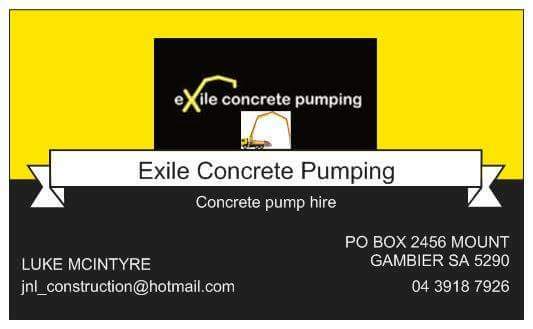 Exile Concrete Pumping is the latest addition to the JNL Construction family. We offer a range of professional concrete pumping services to the housing sector, as well as commercial buildings and industrial sites. Our team of experienced operators work with modern, well-maintained equipment to ensure a trouble free concrete pour every time. Covering Victoria and South Australia, you won’t find better service or a better price anywhere! Looking for a Concreting Expert in Mount Gambier? JNL Construction offer concrete pump hire in South East South Australia & South West Victoria.